“Opportunities are like sunrises. If you wait too long, you miss them.” That quote from writer William Arthur Ward almost proved true for Jim Morrison, Vice President of National Account Sales and Omaha-based master franchisee partner for Stratus Building Solutions, the nation’s leading green commercial cleaning and janitorial services franchise. Morrison was sold on Stratus Building Solutions. 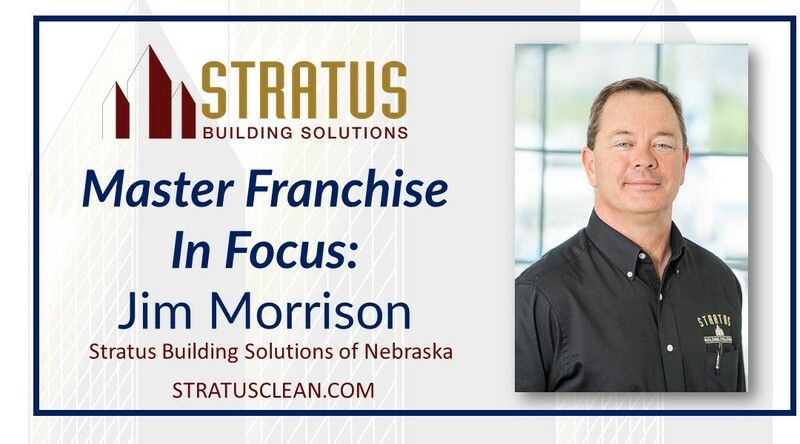 Soon afterwards, in collaboration with Channen Smith, a multi-unit Stratus Building Solutions master franchisee who owns the Omaha region, Morrison became an Omaha partner. They have since added Joe Gallegos as a partner to their fantastic Omaha team. Are you in search of a similar business ownership experience as Jim Morrison? Does the Stratus Building Solutions franchise opportunity sound like it could be for you? If so, learn more at http://www.stratusclean.com/.